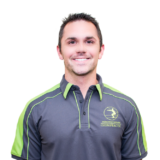 Dr. Grant Burdeau has extensive training in rehabilitation, soft tissue therapy, biomechanics and acupuncture. After earning his Doctorate in Chiropractic Medicine he has postgraduate work in functional rehabilitation. Dr. Burdeau feels being proactive is important to maintain health. This includes preventive care, exercise and nutrition.